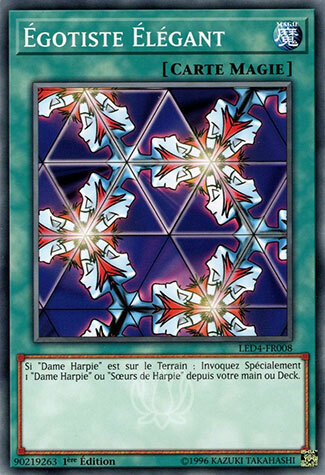 You can only activate this card when there are 1 or more "Harpie Lady" on the field. Special Summon 1 "Harpie Lady" or "Harpie Lady Sisters" from your hand or your Deck. 539 decks jouent cette carte.